Each family we serve receives our superb identification process, a memorial DVD, complimentary probate or estate consultation and most importantly, Peace-of-mind knowing that their loved one has been respectfully handled and returned Safe Assured® back to the family. What is a funeral and why have one with cremation? Is cremation a subsitute for a funeral? Yes, and our facility offers a witness room. Our state-of-the-art cremation facility is set up to allow family members to be present when the body is placed into the cremation chamber. In fact, some religious groups include this as part of their funeral custom. This would include services of a funeral director, transfer of your loved one, preparations needed to facilitate a public viewing for your loved one, use of our facility (or staff) for the visitation and funeral over several days, obtaining required documentation, writing of an obituary, dealing with clergy and/or cemetery, providing a cremation container and temporary urn. *A permanent decorative urn or casket would have an additional cost. This would include services of a funeral director, transfer of your loved one, preparations needed to facilitate a public viewing for your loved one, use of our facility (or staff) for the visitation and funeral, obtaining required documentation, writing of an obituary, dealing with clergy and/or cemetery, providing a cremation container and temporary urn. *A permanent decorative urn or casket would have an additional cost. This would include services of a funeral director, transfer of your loved one, use of our facility (or staff) for the memorial, obtaining required documentation, writing of an obituary, dealing with clergy and/or cemetery, providing a cremation container and temporary urn. *A permanent decorative urn would have an additional cost. This would include services of a funeral director, transfer of your loved one, washing and/or dressing your loved one, obtaining required documentation, writing of an obituary, dealing with clergy and/or cemetery, providing a cremation container and temporary urn. *A permanent decorative urn would have an additional cost. 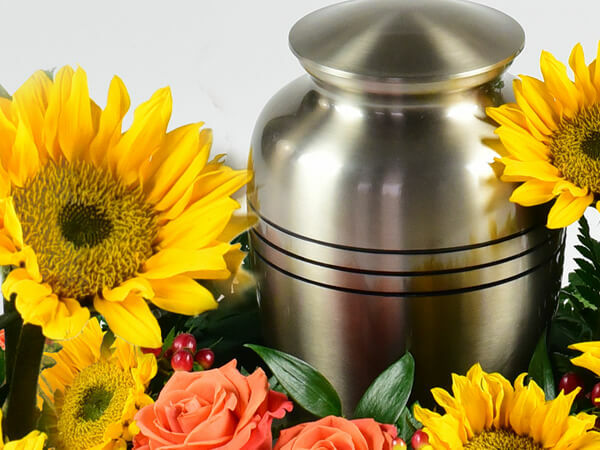 This would include services of a funeral director, transfer of your loved one, obtaining required documentation, writing of an obituary, dealing cemetery if needed, providing a cremation container and temporary urn. *A permanent decorative urn would have an additional cost.